APPSC Group 2 Notification 2016: Andhra Pradesh Public Service Commission has been announced the advertisement for the post of Group 2 vacancies. The aspirants who are looking for the latest govt jobs in Andhra Pradesh can apply the APPSC Group 2 recruitment 2016. There are nearly 982 jobs. This is one of the golden opportunity for the applicants. So the candidates can use the Andhra Pradesh PSC Group 2 vacancies. The interested aspirants must download the APPSC Group 2 recruitment notification 2016. The eligible applicants can apply online mode of the Andhra Pradesh PSC Gr 1 application form 2016 through the official site. Here we also attached the direct link for the APPSC online application form and advertisement. If you want to know the latest jobs updates, you must like our social page (Facebook, Google+ & Twitter). Once you like my page, then you will get the job related notification on correct time. The start date of online application start from 11th Nov 2016. The applicants must apply the Andhra Pradesh PSC recruitment notification 2016 application form on or before 10th Dec 2016. 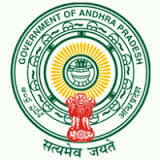 The Government of AP, Andhra Pradesh Public Service Commission has been organized the examination to recruit the eligible applicants for the required vacancies. Here we provide the step by step instruction for the candidates how to apply the APPSC recruitment 2016. So the applicants can follow these given steps to apply the Andhra Pradesh PSC Group 2 jobs 2016 in easy manner. Further information like age limit, educational qualification, how to apply, application fee, pay scale details given here. Commission Name: Andhra Pradesh Public Services Commission (APPSC). Post Name: Group 2 Jobs (Executive/Non Executive)..
No of Posts: 982 Vacancies. Content Name: Andhra Pradesh PSC Group 2 Recruitment 2016. Job Category: State Govt Job. Sr Accountant (APGLI) - 10. Sr Accountant (AP Insurance Off) - 1. Asst Labour Officer - 8. Asst Development Officer - 23. The age limit of the applicants details are given. The aspirants who have complete the intermediate/ HSC/Degree from a recognized university/institute can eligible to apply the APPSC Group 2 recruitment 2016. The general candidates have to pay application fee Rs. 120/- and Rs. 100/- for the reserved candidates. Note: Make the payment of application fee through the online or offline method. The selection of the aspirants in APPSC Group 2 vacancy 2016 will be based on the performance in written examination. The shortlisted candidates will be get the jobs in Andhra Pradesh PSC recruitment 2016. Refer the APPSC Group 2 notification 2016 for more details. Open the official site psc.ap.gov.in. Eligible aspirants can apply the online application form. APSPSC Group 2 Recruitment Notification 2016. Andhra Pradesh PSC Group 2 Online Application Form 2016. Date of online registration start: 11.11.2016. End date of online application: 10.12.2016. Date of preliminary exam: 16th Feb 2017. Mains exam date; 20th and 21st May 2017.